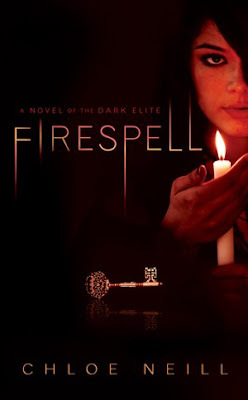 Here is the shiny cover for Firespell by Chloe Neill, the first book in her new young adult Dark Elite series coming in January 2010. Chloe Neill recently guested here at SciFiGuy.ca and you can read her post where she talks about her recently released debut novel Some Girls Bite, the first in the Chicagoland Vampires series. While this does jump on the "weird-boarding school" plot line it sounds unique enough to hold it's own. 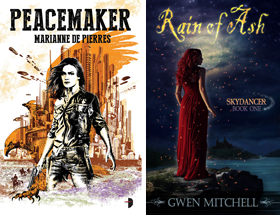 There are sooo many good books coming out in 2010...can't wait to see this live and in person! I'm lovin' it and it's such a long wait! Oooo...can't wait to get my hands on this one. Lady_tink after reading Some Girls Bite I expect this to be a really good read. Chloe is a natural story teller. Dottie 2009 seems to be the biggest year yet for UF. It is hard to imagine what me might see next year. Lots of 2nd and 3rd books by the large crowd of excellent new writers. Michelle and Princess Allie Me too!